Location: Cawood's Hope Game Lodge is based in Northen Cape province of South Africa offering a wider range of hunting trips across South Africa. About your host at Cawood’s Hope Game Lodge: Alex Goss, Founder. 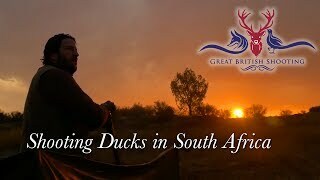 Alex has experience hunting all over the world but annually in South Africa from five years old. Thus a prime choice to host a Safari company. It was no wonder that after years of hunting with other outfitters he along with his partner indigo made the choice to create their own safari company. They have never looked back since. Alex has been in the shooting community from a very early age, having been raised between large fisheries in the UK and game lodge in Africa. With no other option but to live and breathe the shooting community it was not long until his special connection with hunting and conservation became apparent, his contact base became vast and his ability to teach and guide shone through. ­­­­­­Hunting experience at Cawood’s Hope Game Lodge: The pursuit of plains game in Africa is possibly one of the most exciting and unpredictable forms of hunting anywhere in the world. There is no better feeling than when your presence is unknown and the faint breeze brushes against your face. With the first rays of sun protruding over the bush, the divide between the evidence of night time traffic on game trails and the chatter of the bird life appears all around you. With over 25 species of animals on our hunting concessions you never know what will appear from behind the next row of trees or patch of dense white thorn or acacia bushes. It makes for an exciting hunt full of stories and memories to last a life time. Whatever your choice of weapon, bow, cross bow, muzzle loader or rifle we cater for your every need. We have over 20 bow blinds, high seats and brush blinds over many thousands of acres of land with an abundance of game in every area. We pride ourselves in finding prime hunting areas for the animals you wish to harvest along with some magnificent trophies along the way. Click here for quick link country guide. To select and book the top suggested hotels and accommodation in the area when hunting at Cawood’s Hope Game Lodge, click here. 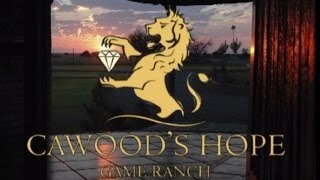 by car or public transport to Cawood’s Hope Game Lodge.